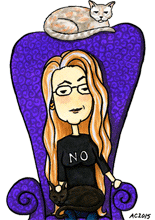 Do you knit, or know and love a knitter who’s a little left of center? Or at least one who loves zombies. 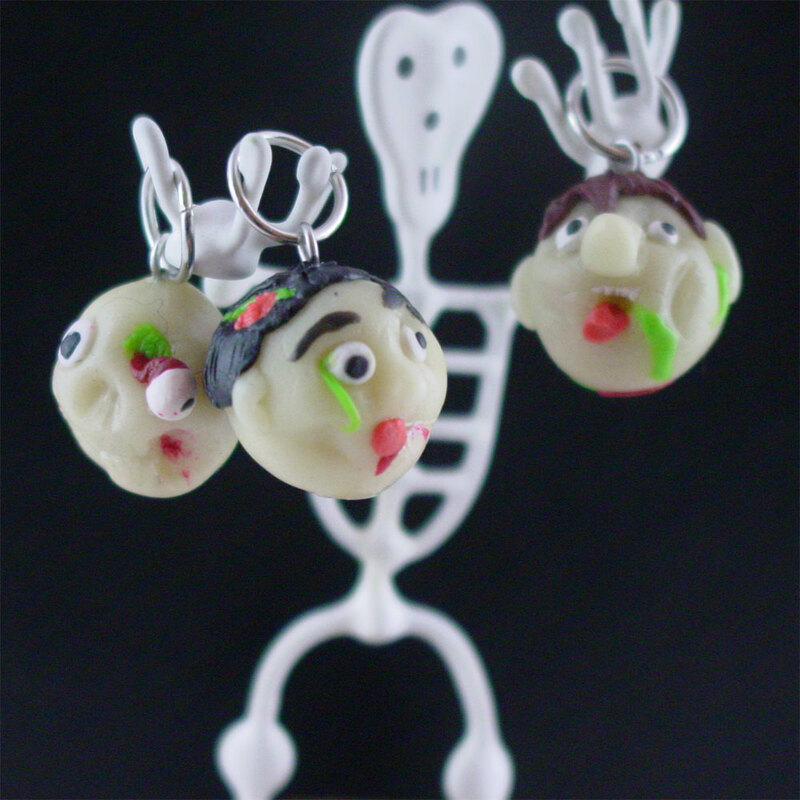 This is a set of 5 handmade stitch markers fashioned from glow-in-the-dark polymer clay. I had a lot of fun giving each one their own personality, making sure there was a blond, brunet, redhead and even a bald little skull. 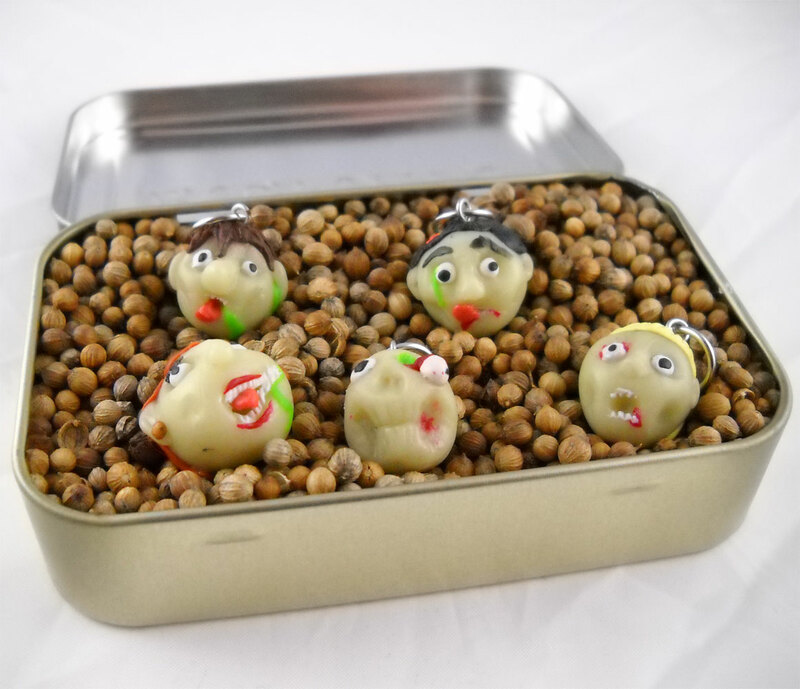 I packed them up in an old Altoids tin and filled it with coriander “earth” so your zombies will arrive safely buried and ready to eat… er, mark your stitches. They won’t really eat your brains. Probably. 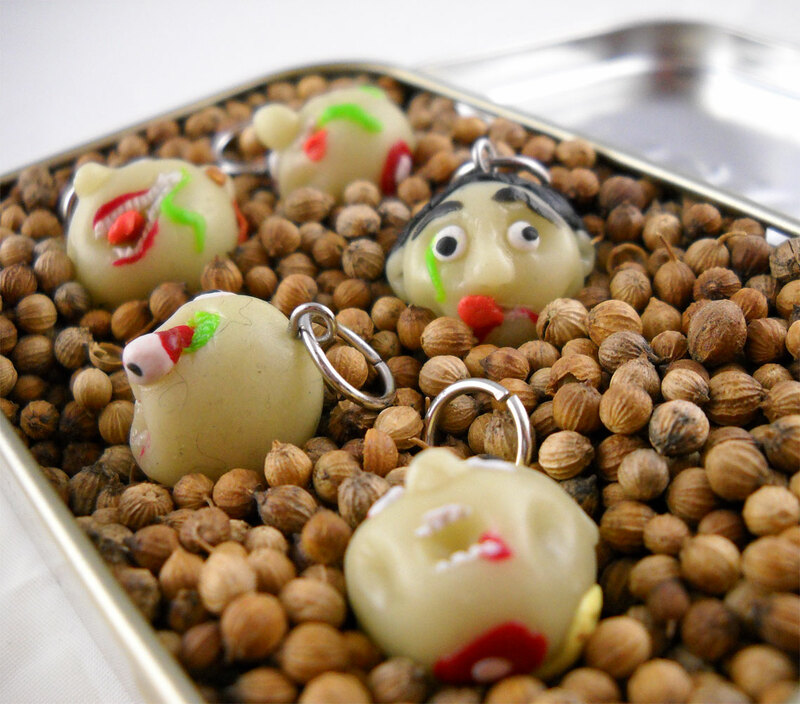 Set of 5 Zombie stitch markers – sold! 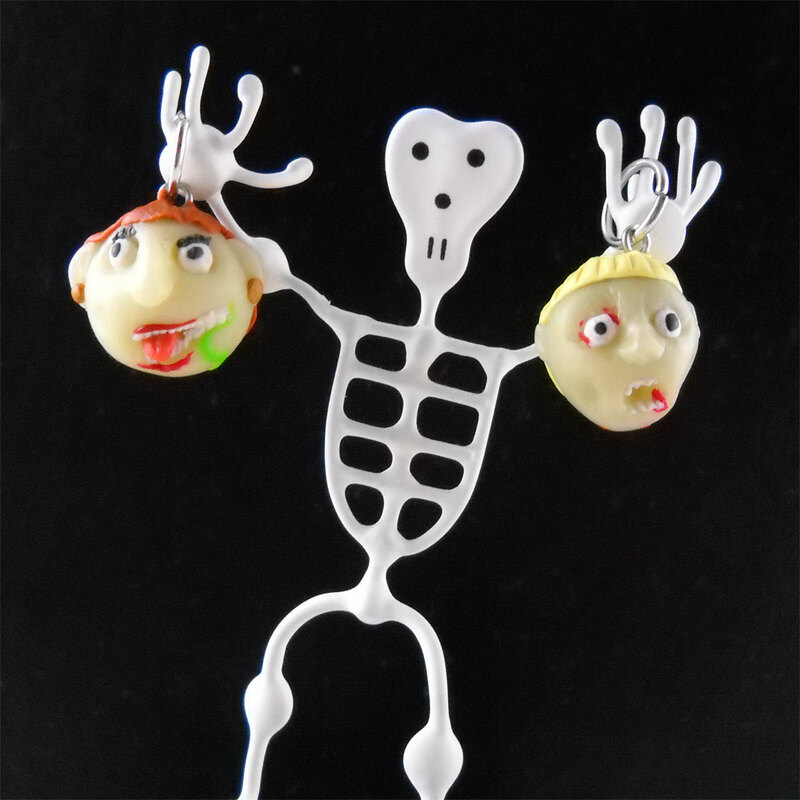 I got my photo minion to take some pictures of them exhumed and hanging so you can see the 9mm sterling loops, and of course their darling little undead faces. 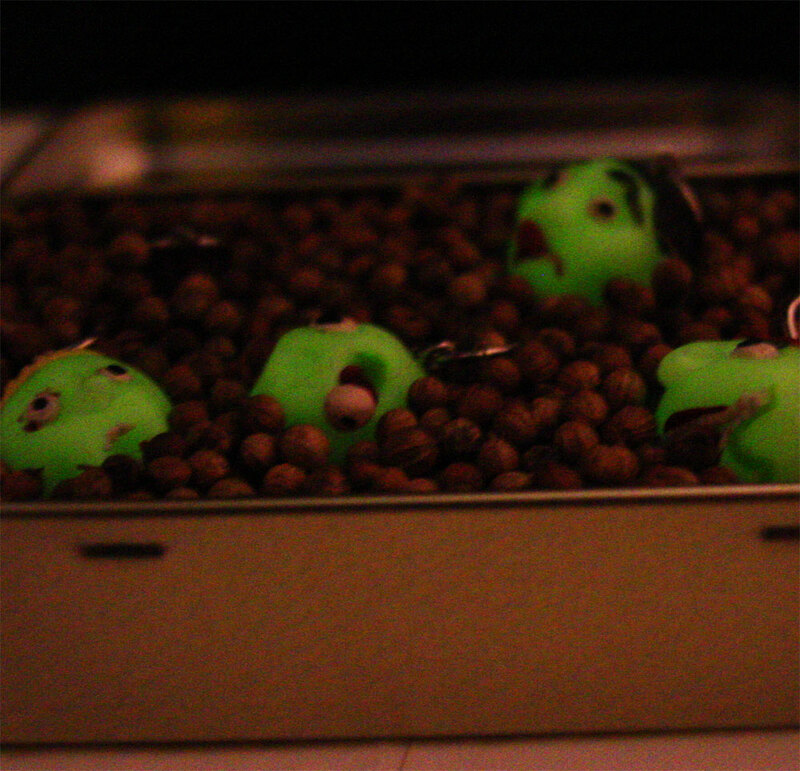 And here’s a photo of them glowing. Mmmmglow.